We recommend choosing a Cyber Parenting Expert to provide settings that are custom-designed and age appropriate. Your Cyber Parenting Expert will eliminate the hard work of keeping up to date with technology, apps and online risks, which makes it easy for you! I am so excited to share this accessible solution to families raising digital kids and teens. We can raise them well and develop their 'internal regulation' skills. We need Family Zone to help them balance the real and the online world, live in the digital age thoughtfully and ensure our families have the appropriate 'external regulation' tools. A psychologist, guidance counselor, lecturer, and author, Michele Alignay earned her B.S. in Psychology at the University of Santo Tomas and obtained her M.A. in Family Psychology at the Miriam College. A sought after speaker and resource person in various conferences and media such as TV, radio, and print, she is currently at the final leg of completing her post-graduate dissertation for a Ph.D. degree in Family Studies. Michele, also fondly known as Ichel, launched her book entitled, Family Goals: Embracing the Imperfections of Family Life (Kerygma Books) last 2016 and is co-author of the breakthrough book, Growing Up Wired: Raising Pinoy Kids in the Digital Age (Anvil Publishing, 2013). Michele has furthered a deepened expertise in the field of digital media management. She believes this to be a strong subject many parents raising kids in the digital age, just like her, can relate with and thrive at with appropriate up-to-date know-how. Recently, she was invited to be part of UNESCO Asia-Pacific’s Experts Meeting on the Framework on Digital Citizenship. Michele fosters collaborations with schools, companies and brands in developing programs and talks aligned with healthy family life. 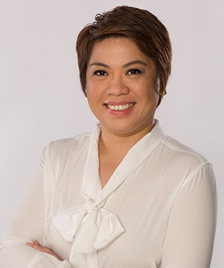 Her expertise is best extended in the many roles she has taken on: lecturer for the undergraduate and graduate programs of Miriam College, Club Head of Bo Sanchez’ Family Reborn Club (www.familyrebornclub.com), columnist of the Catholic inspirational magazine, Kerygma and Fish magazines, and the first local Cyber Parenting Expert of Family Zone (www.familyzone.com). Above all these, Michele prides in being a wife and a mom of two kids. Once upon a time having an online presence and leaving digital footprints were kinda cute and value adding, well not anymore. While the internet, social media and mobile apps are still helpful, it has become a dangerous place for kids and adults alike. Social media and mobile apps has provided opportunity for social engineering that can lead to bullying, sexting and child abuse if kids are left without guidance exploring social web. It is in this note that Family Zone can be of help to parents who are in the look for a tool to help them raise their kids amidst the risk in the digital environment. Sonnie has been at the forefront of social web evolution since 2004, using everything from Yahoo groups to mobile apps to build online communities. He has made contributions to raising awareness of the digital risks and providing practical, pre-cautionary measures to safeguard individuals, families and corporations. For his contributions he has received awards, been a guest on TV and radio, had citations of his articles both in print and electronic media, and received invites as conference speaker. He introduced cyber wellness to the conversation from online to offline. This includes online safety, responsible and proactive use of social media, privacy protection, digital parenting and cyberbullying prevention and mitigation. Because his blog and online presence played a major role in his ascendance to Assistant Vice President HR position, he is in the forefront of using online social channels to facilitate e-learning, mentoring and benchmarking. Together with other blogger advocates and online influencers in their own right, Sonnie co-founded Blog Watch in 2009. Thanks to Blog Watch, legacy media found value in live streaming coverage and interviews of candidates, and a blogger’s voice has been recognized as valuable addition in national conversation. Having been in the forefront of using e-groups, blogs and social media in building people and communities since 2004, he has received recognitions in the form of blog awards and nominations; TV and radio guestings; citation of his blog posts in literary works in both print and electronic media; invites as conference speaker; and brand collaboration/partnership. Sonnie is a seasoned executive and strategist for People Management & Organization Development with emphasis on use of Technology (HR 3.0), Branding and Strategic Marketing and Communications. He does consulting work and/or facilitates learning and development workshops in various industries like engineering, banking, business process management, property management, education, manufacturing, FMCG, retail. and trading. 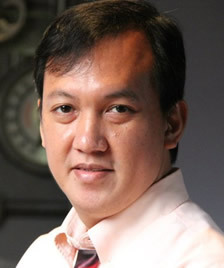 His last corporate portfolio prior to pursuing Solopreneurship is Assistant Vice President, HR.